Do you want to increase the projection of your cheekbones? You may be dissatisfied with the appearance of your cheeks, feeling that they should have a more prominent cheek contour. 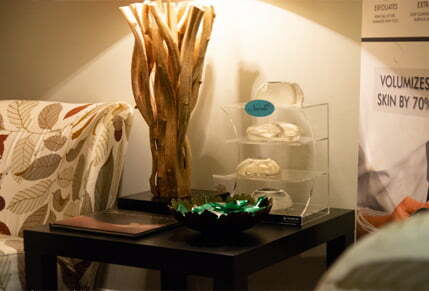 Located in Jupiter, FL, Koger Cosmetic Clinic and Medspa is led by board-certified plastic surgeon Dr. Koger, who performs cheek implants or cheek augmentation surgery for those Palm Beach County residents, including West Palm Beach, Vero Beach and Wellington who want to add body and contour to cheeks that lack definition or shape. What Are Cheek Implants (Cheek Augmentation)? 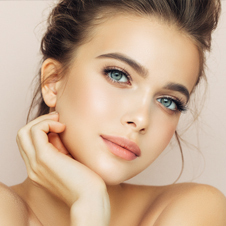 If you want greater facial balance, an enhanced cheek contour or improvement in the symmetry of your cheeks, then cheek augmentation with Dr. Koger may be just right for you. Cheekbone implants come in various shapes and sizes, and most can be custom shaped to a particular facial structure. Some cheek implants, such as those made from silicone, do not integrate with tissue and can be easily removed at a later date. Other cheekbone implants, such as hydroxyapatite implants, integrate with natural bone tissue and become part of the cheek structure. A cheek augmentation or cheek implant is ideal for those candidates who want to bring balance and better proportion to the structural appearance of their face. Those candidates who are bothered by a lack of facial contour or a want of “good cheekbones” can compensate for this genetic issue with artificial facial implants, which deliver many cosmetic benefits. The physical structure of your face is improved, and volume is added to areas that may be recessed or flat. During your complimentary consultation, Dr. Koger will discuss the details of the cheek implant procedure. You will want to arrange for someone to drive you both to and from the surgery and for the initial 24-48 hours following your surgery it would be beneficial to have regular assistance. Prior to your surgery, you should abstain from smoking or alcohol consumption. Dr. Koger and his amazing staff will make certain that you have a fully detailed checklist so that you have complete confidence going into your surgery. Using general anesthesia for your comfort during the surgical procedure, Dr. Koger performs this relatively simple outpatient procedure by making a small incision in the upper lip or in the mouth, though the specific area to be augmented in the cheek determines where an implant will be positioned on the cheekbone. A pre-shaped implant can be inserted next to the facial bone structure. Once the incision is closed, the implant is then naturally held in place by the facial tissue. Stitches are used to close the incision, and they dissolve in that same period of time. How Much Do Cheek Implants (Cheek Augmentation) Cost? For your convenience, we accept cash, check, Visa®, MasterCard®, American Express® and Discover®. Financing options are also available via CareCredit®. Since the initial swelling after your cheek implants (cheek augmentation) surgery can vary, discuss with Dr. Koger during your complimentary consultation what you can expect in term of your healing process. Typically, the full process takes a month or two, and if there is any discomfort, it can be managed with pain medication. Your sutures will dissolve on their own. As you heal from your cheek implants, you will find that your results emerge beautifully. Many patients are beyond thrilled with the outcome of their surgery, and they enjoy the long-lasting results of cheek augmentation surgery, even though there may be some localized swelling, discoloration, discomfort or numbness initially following the procedure. In some cases, the swelling takes several months to fully dissipate, but when it does, your results will finally shine through for all to see. If you live in or around West Palm Beach, Wellington, Vero Beach or anywhere in Palm Beach County, and are looking for a highly credentialed and board-certified plastic surgeon with outstanding skills necessary to give you the look you’ve been looking for with cheek implants or cheek augmentation, then please contact Dr. Koger at Koger Cosmetic Clinic and Medspa in Jupiter, FL, today, to set up your complimentary consultation.